Eco and adventure tourism are rapidly growing sectors of tourism in the Middle East and the number of “eco-lodges” is increasing to cater for the demands of this specialized market. But how should we be designing these lodges for our arid climates and desert landscapes to make them as low impact and sustainable as possible? And how should we operate them to make sure we meet the expectations of such discerning visitors? These are the key issues to be addressed in this very practical and applied workshop, which will take place in the Azraq Tourist Lodge, a converted British Field Hospital from the 1940’s situated at the edge of Jordan’s Eastern Desert, near to the Azraq Wetland Nature Reserve. The main topics to be covered are: reading the desert landscape, critical design issues in arid lands, eco-lodge concepts and requirements, applying sustainable principles to design, case studies from the region, monitoring environmental performance and environment-friendly operations. 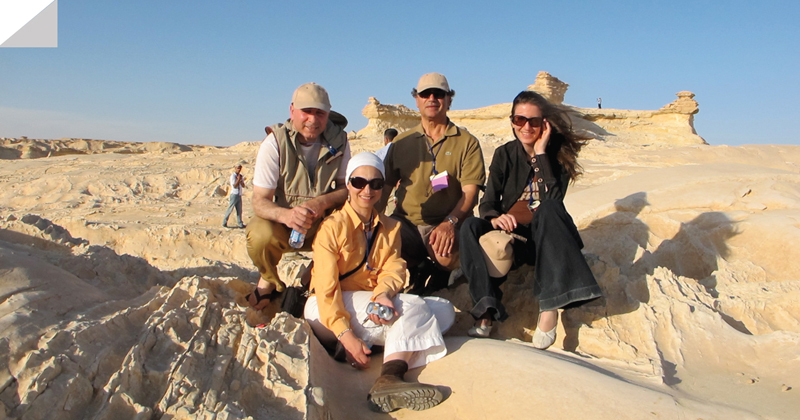 Instructors: Aziza Chaouni, Assistant Professor, University of Toronto, Daniels Faculty of Architecture, Landscape, and Design; Ammar Khammash, renowned Jordanian Architect and designer of several eco-lodges in Jordan; Nabil Tarazi, Founder and Managing Director of Eco-Hotels; Ursina Ruegg, partner and operator of the Desert Lodge, Egypt and Chris Johnson, Program Director for the USAID funded ‘Eco-tourism Project’ and previous Director of Wild Jordan, the division of the Royal Society for Nature Conservation responsible for eco-tourism development.